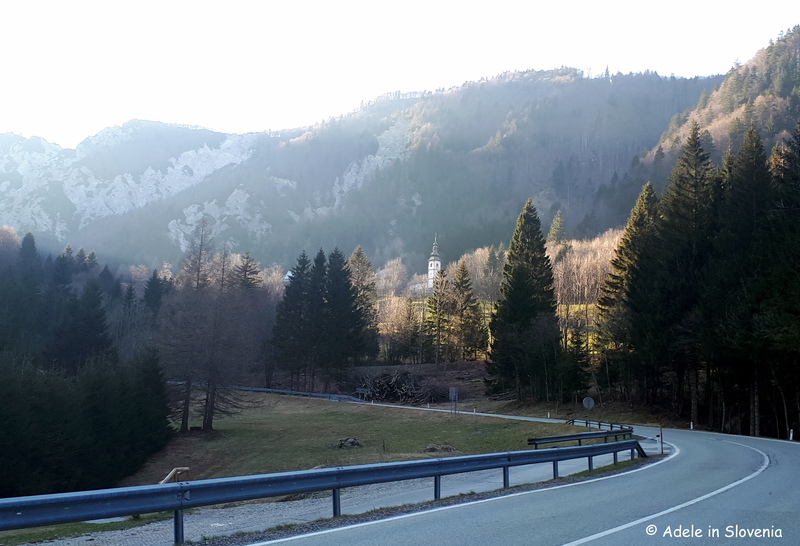 The tranquil St. Ana valley is squeezed between the Karavanke mountains along the road leading from Tržič to the Ljubelj pass. 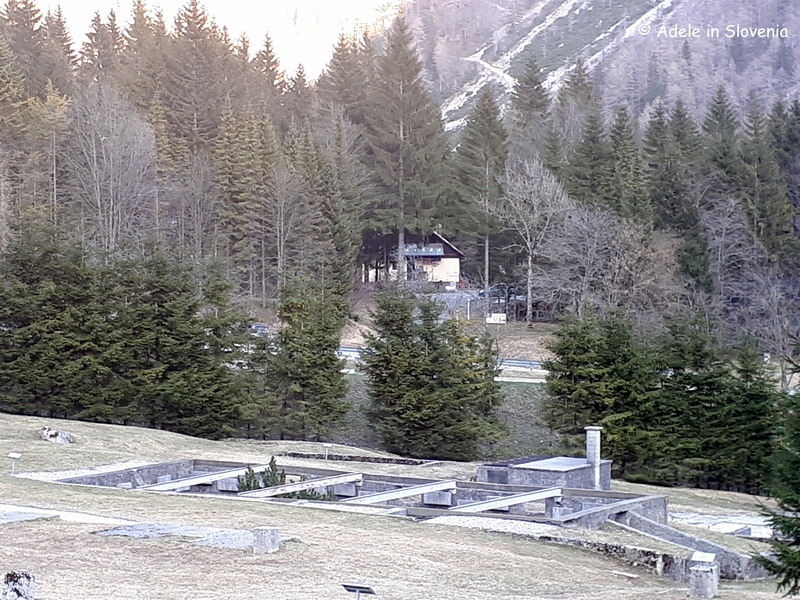 The valley was named after St. Anne’s church, which can be seen nestled beneath the mountains shortly before reaching the top of the windy road. 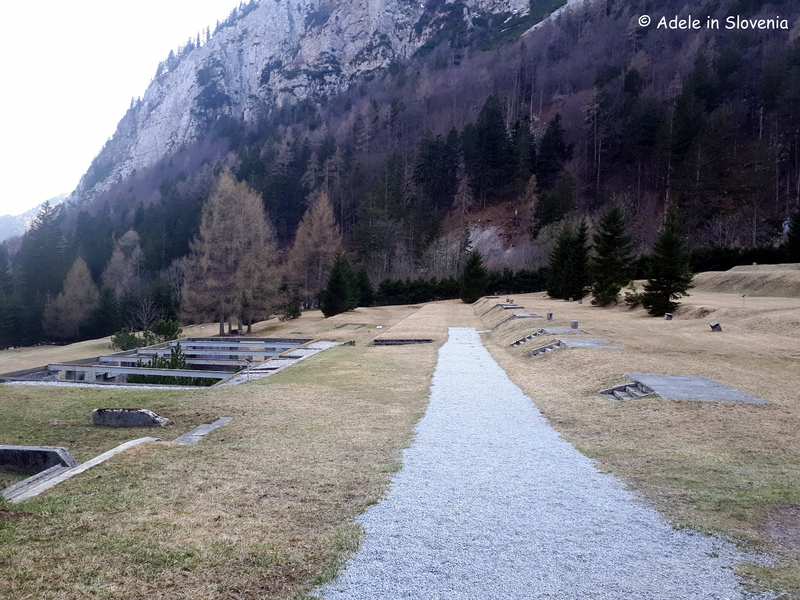 The valley has a particularly poignant past, as it was the location of a former World War II Mauthausen concentration camp, also known as the Ljubelj Labour Camp, the remains of which can still be seen today at the preserved and protected cultural site. 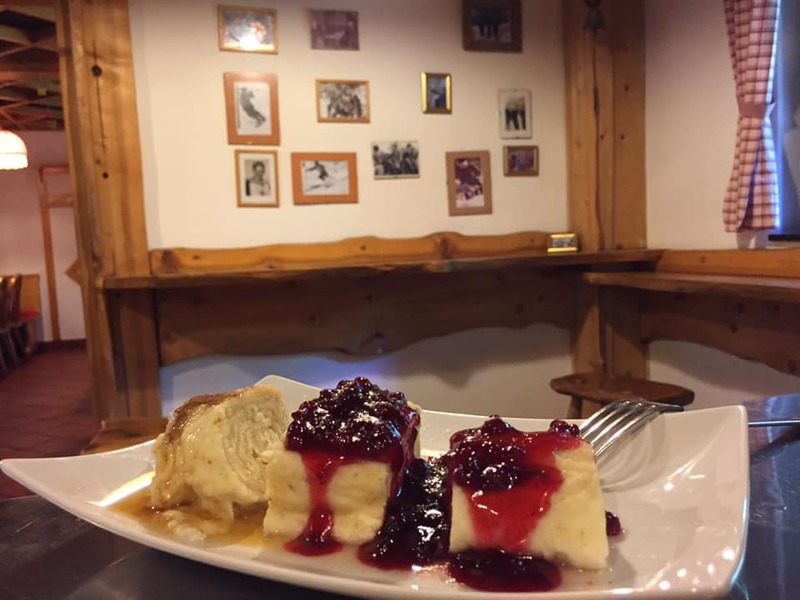 It was the only World War II camp of its kind in Slovenia. 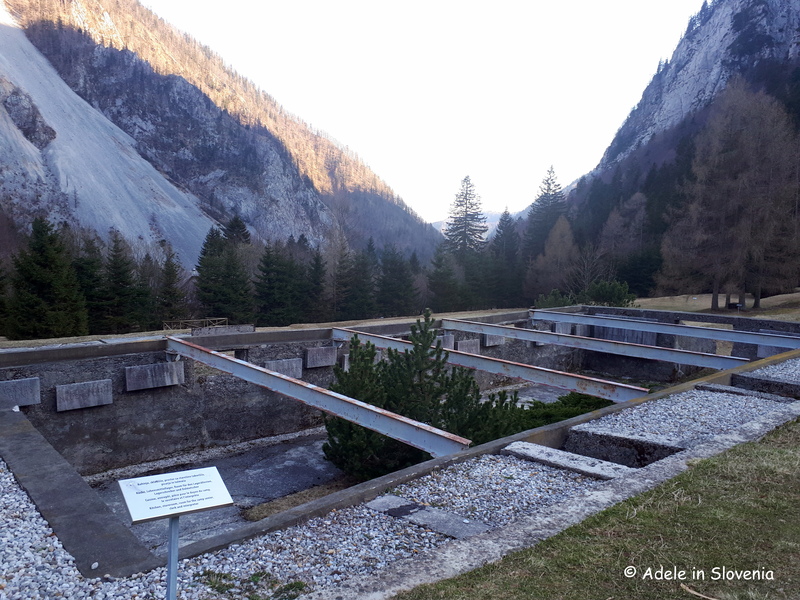 The concentration camp, which was a branch of the Mauthausen Nazi camp, was established during the time of the construction of the Ljubelj tunnel on the strategically important road between the then Nazi Germany and the southern occupied territories. Today the remains have been arranged into a memorial park. 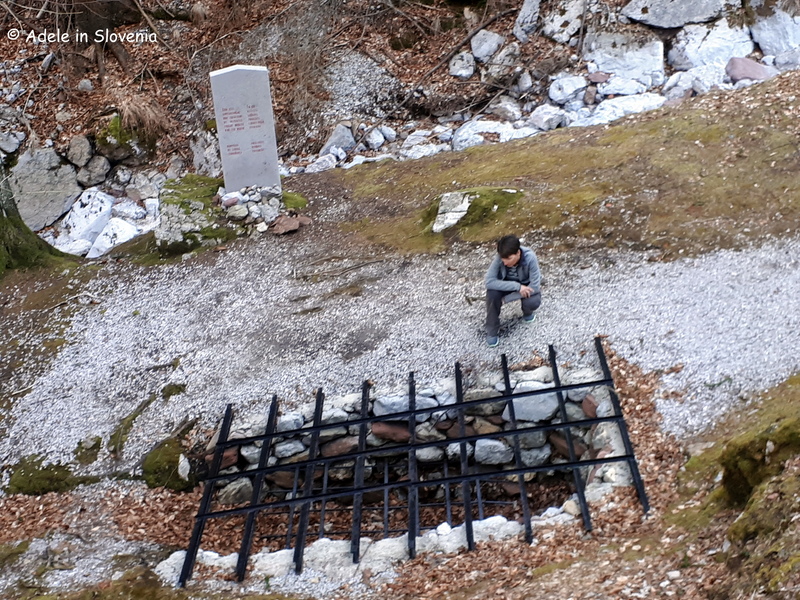 Though its not the usual type of tourist attraction, those interested in history, as well as anyone with a sense of respect for the past – myself included – can’t fail to be moved and feel somewhat poignant when strolling through the camp mindful of the dreadful atrocities that took place there. The first 330 political internees were brought to the camp on 3rd June 1943, and the camp closed on 7th May 1945. 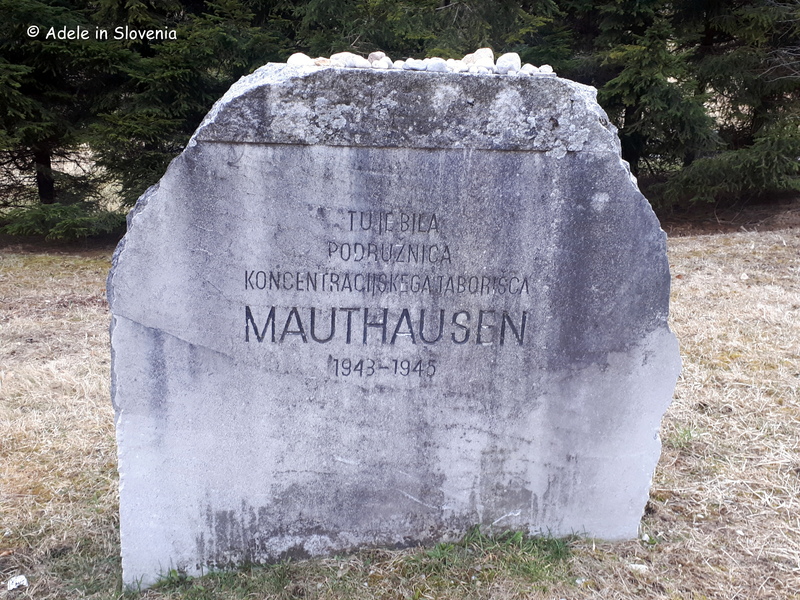 There was a maximum of 1,300 internees, the majority were French, whilst there were also Poles, Yugoslavs, Italians, Czechs, Jews, Norwegians, Belgians, and Greeks, among others, the majority of which met their death while interned at the camp. Click here to take a virtual walk through the camp. 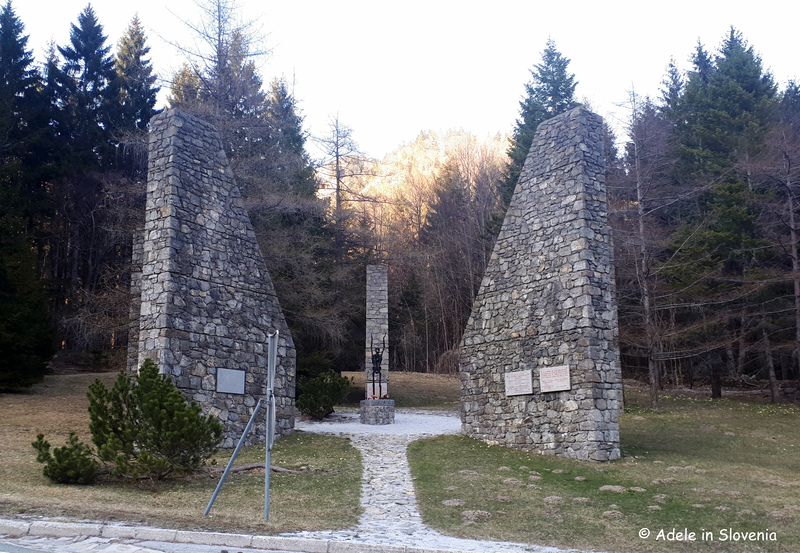 On the opposite side of the road there is a monument with commemorative plaques giving more information (in various languages, though not in English). From the Mathausen camp you can see a building on the opposite side of the road almost hidden in the forest. 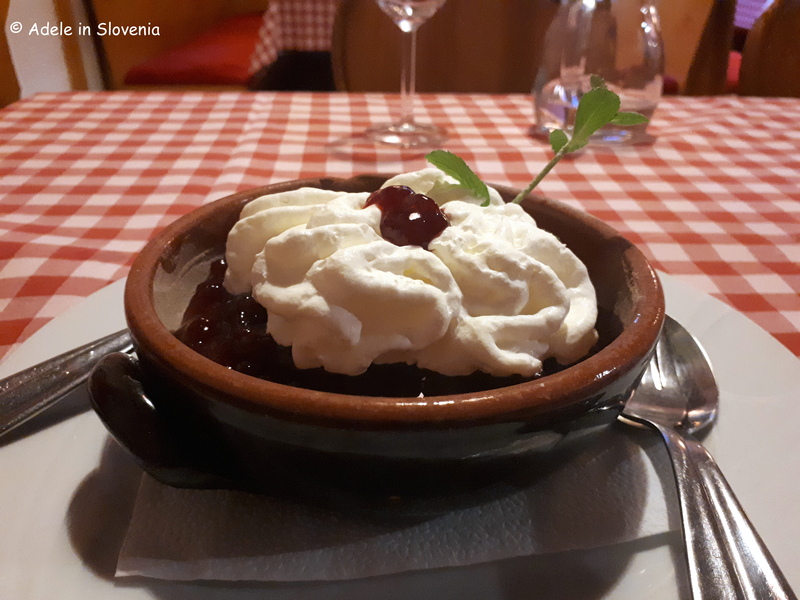 This is Gostišče Karavla (formerly known as Gostišče Koren), which I must admit to having overlooked on previous visits to the area. 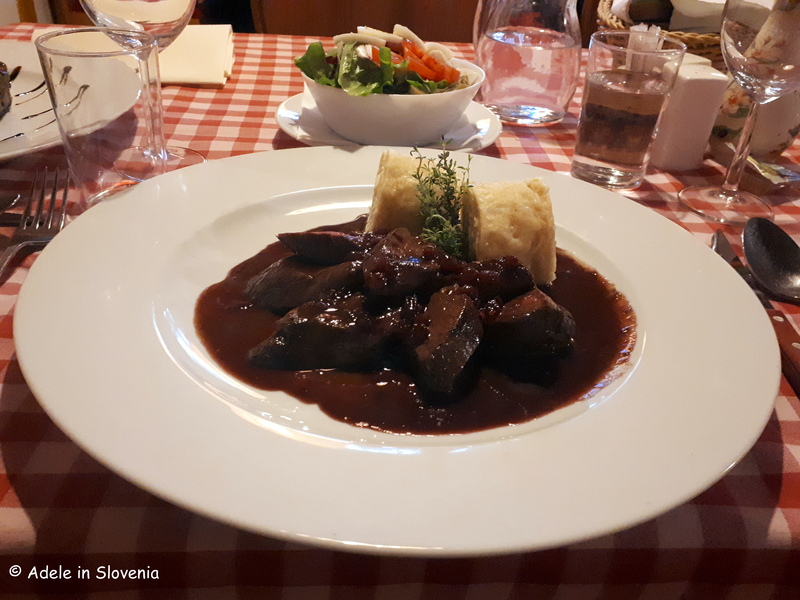 The menu is varied, with a focus on game and Angus steaks, though there are also plenty of other traditional Slovenian dishes and numerous options for vegetarians too. 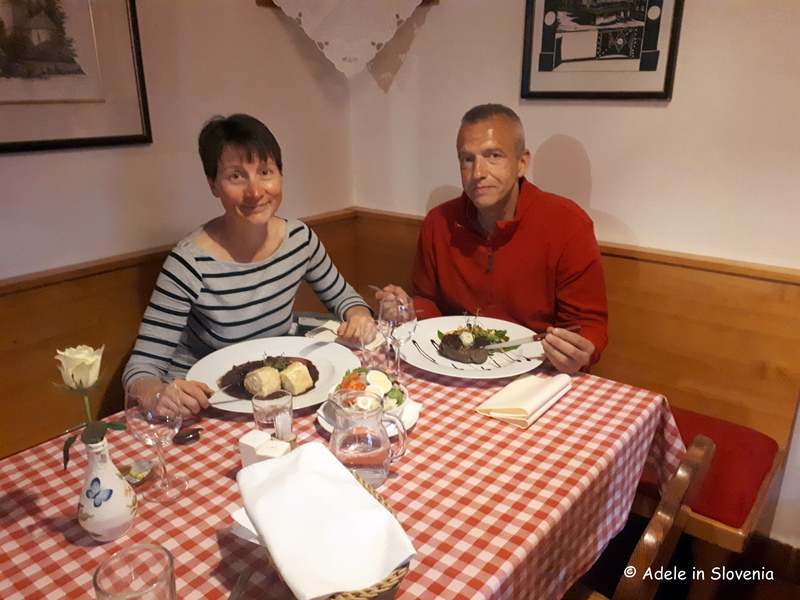 As the focus is on game, I just had to try the wild boar with cranberries, which is served with homemade curd cheese štruklji, and the black Angus steak was cooked to perfection and ‘melt-in-the-mouth’ delicious! 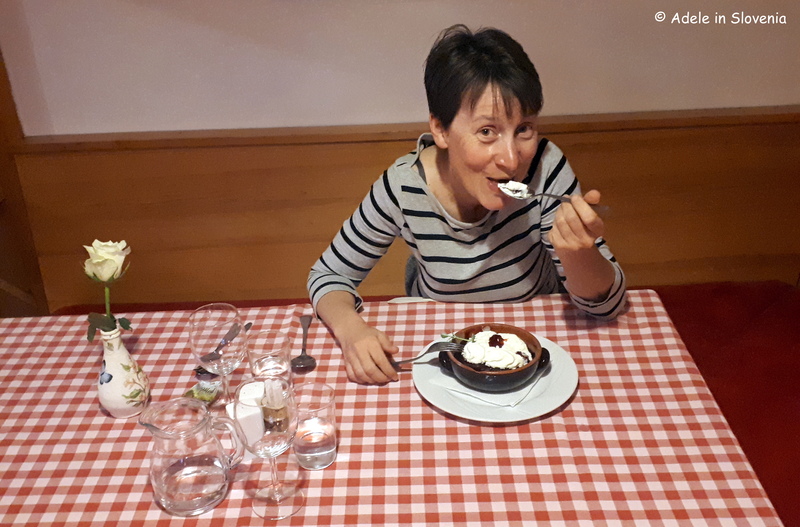 …the dessert – the house speciality buckwheat sponge with hot cranberries and cream – was mine, all mine! 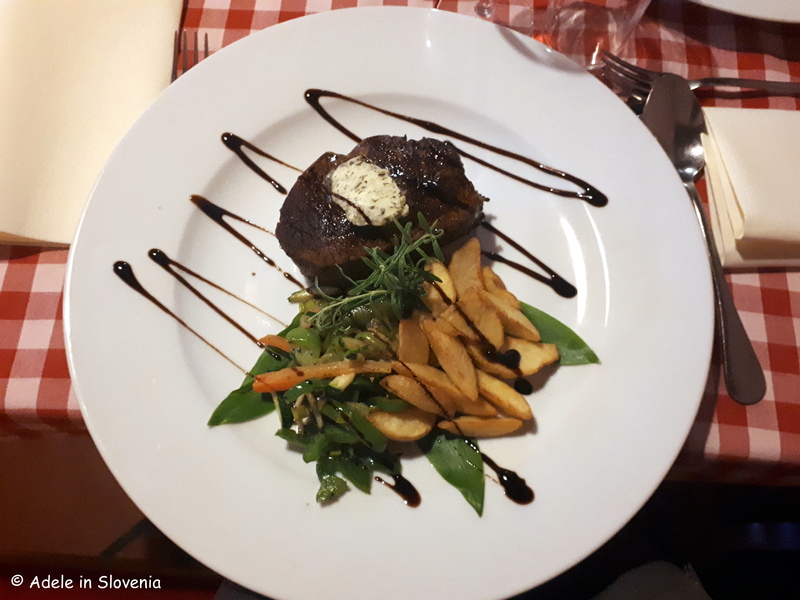 Click here to find out more about all this and all the other attractions in the Trzic area, and here to read my previous post about hiking and other activities at Zelenica and Ljubelj.